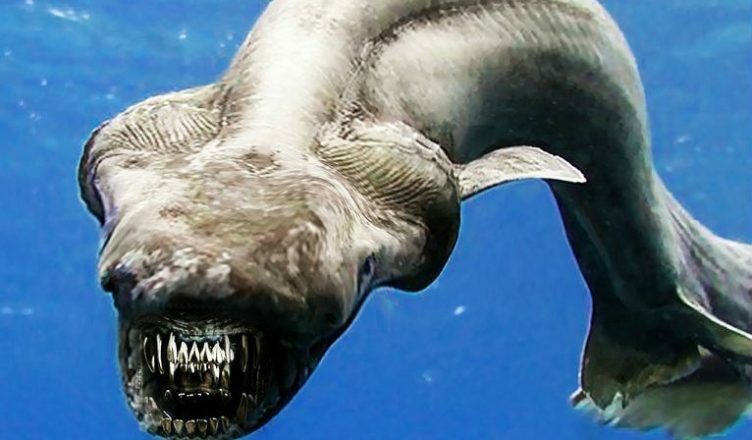 Frilled sharks or also known as ‘living fossil’ is a deep-ocean creature. Very little is known about this shark till now. 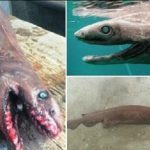 Here are top twenty interesting facts regarding frilled sharks that will help you to know more about this creature. 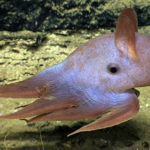 Unlike other sharks, this creature has its gills around its throats. Each pair of gills has red fringe on its edge that leads to its name. 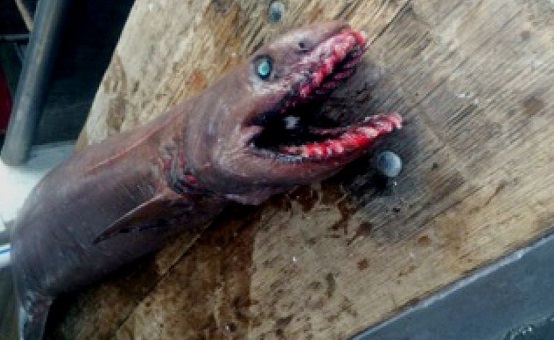 This ugly looking shark has a head like lizard and body like an eel. 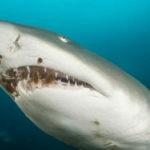 Though it is not a complete shark but due to its internal structure it is recommended as shark. Till 19th-century human beings were complete unaware regarding this animal. 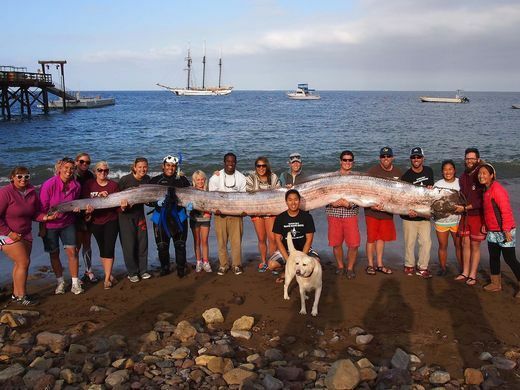 When it was first observed it was classified as the form of a sea serpent. 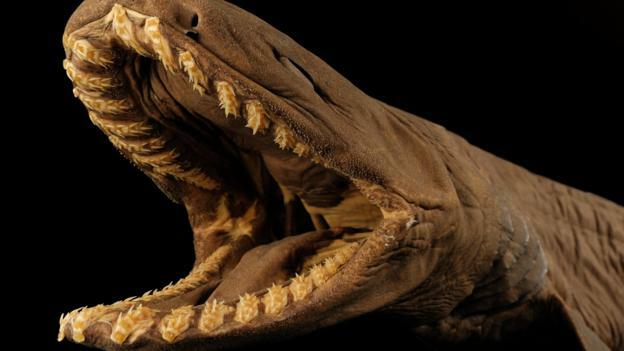 This large deep water creature has 300 teeth in its mouth. These teeth are aligned in twenty-five rows and each of them is backward facing. This shark lacks in the case of fins. Thus rather than swimming this shark hovers here and there using its eel-like body and huge tail fins. Many researchers have explained that this shark can strike like a snake though it generally prefers to stay away from big animals. Scientists have measured both male and female frill sharks and found that the female sharks are bigger in length compared to the male sharks. Gestate period for these sharks is relatively larger than the other sharks. It can last from 42 months to 75 months. 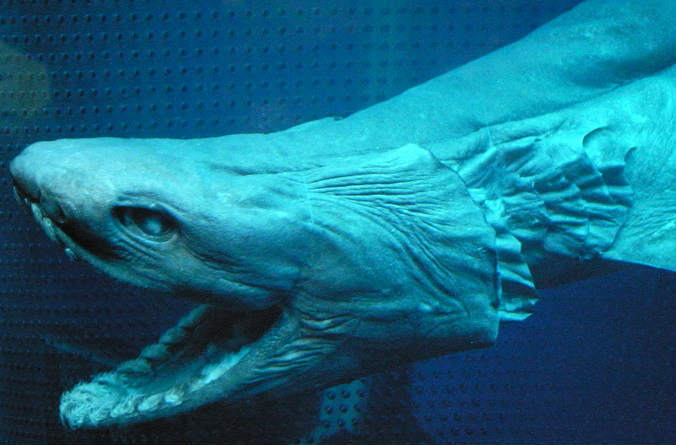 Frilled sharks are deep ocean animals that are generally found near sea bottom. 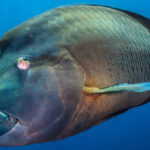 Cold blood of these creatures makes it unable to live near the surface of the sea. 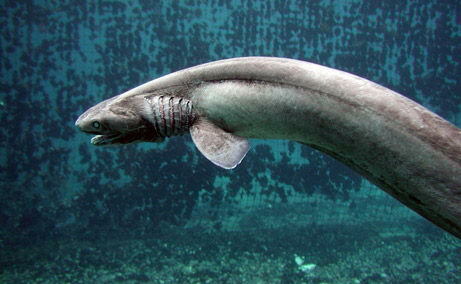 Till 2007 there was no evidence of captivity of frilled sharks. Since then many sharks has been captured in Japan and New Zealand. Very little is known regarding the habitat of this animal. However several appearances have been observed near Japan and New Zealand coastlines. 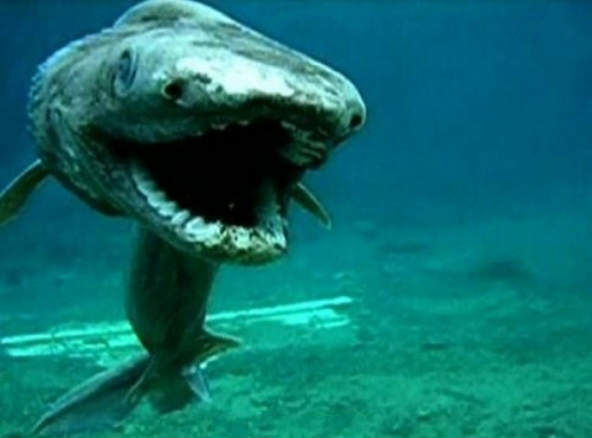 This shark quite looks like eel because it lacks in fins too. 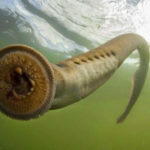 Recent reports suggest that water pollution has highly affected the habitat of this creature. Gills are slit and hang around the throat of this shark. 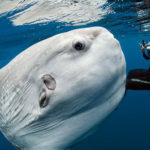 Though it’s a shark, it has a unique body shape which doesn’t have only two fins in its body. 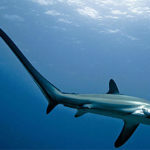 Unlike other sharks lateral line is not observed on both sides of the body. Rather these lines are in a groove. Sharks generally have a nictitating membrane to protect their eyes but this frill shark doesn’t have this membrane. This type of shark has a huge liver that holds oils of low density and lots of hydrocarbons. 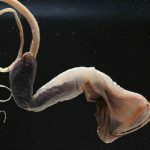 These animals live in bottom Sea, where nutrients are almost absent. Thus the bones of frilled sharks have low calcium. Since the first captivity in 2007, these sharks are being conserved because very few are alive till now. 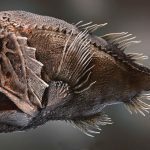 Well, these are the top features of the frilled sharks, which will certainly help you to know more about this deep sea animal.